Join over 2,200 schools that have taken part in Voice in a Million since we launched in 2009, at our 10th anniversary event at The SSE Arena, Wembley. 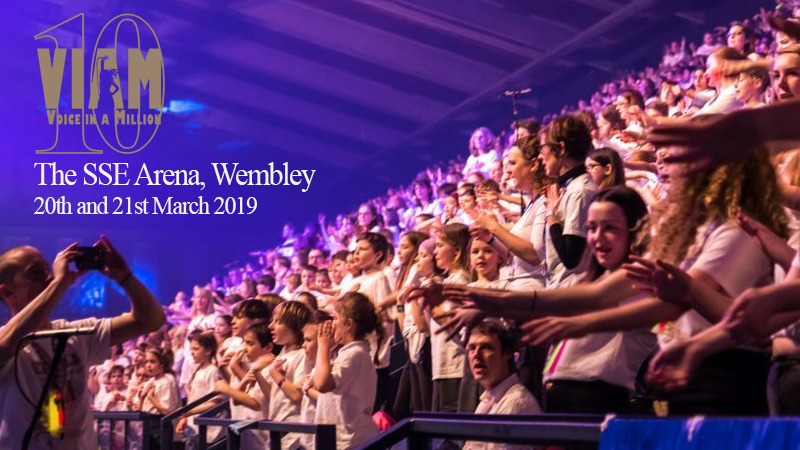 10,000 schoolchildren will be performing over two nights on the 20th and 21st March 2019. Your pupils can be part of what has been billed as ‘the world’s most spectacular school concert’. Loved by pupils, parents and teachers, Voice in a Million is an event they will remember for a long time to come.